Brighton alumna Elizabeth McCarten (Fine Art Printmaking BA(Hons) 2012) has won the Jackson’s Young Artist Award in this year’s Sunday Times Watercolour Competition. Elizabeth is also a Royal Drawing School graduate. 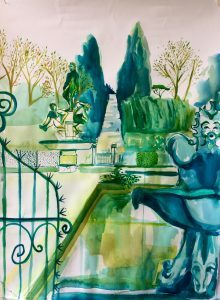 She collected her £500 prize for her ethereal watercolour, The Boboli Gardens and was credited by Jackson’s Art Supplies for her “measured, understated” painting which is “peppered with a delicate decorative quality”. 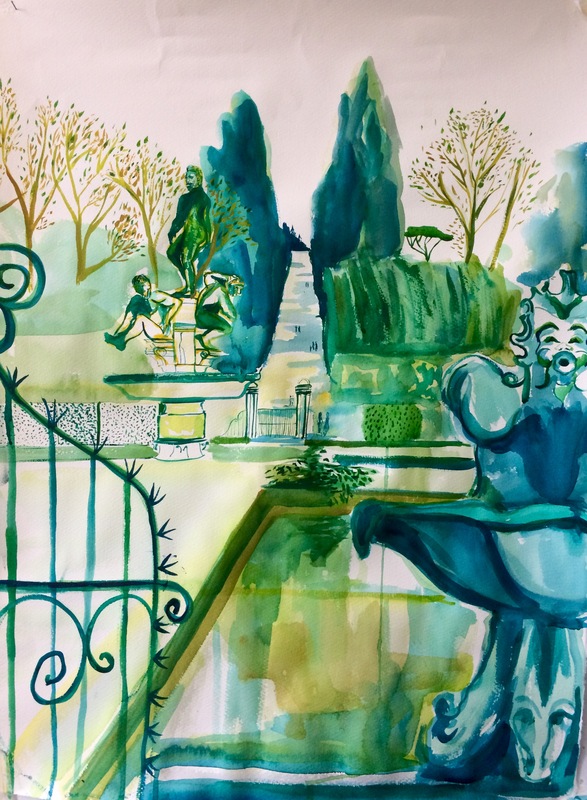 Elizabeth, now based in London and teaching on the Young Artist Programme at The Royal Drawing School, recently completed a residency at Borgo Pignano in Italy and travelled to Florence to make a series of works, including her prizewinning watercolour painting. About her time at the University of Brighton, Elizabeth said: “Brighton gave me a new sense of independence. 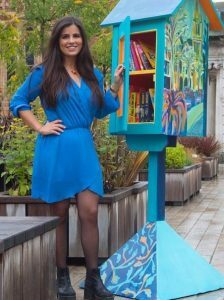 Firstly because I had left London and was exploring a new city on my own for the first time and secondly because it helped develop a strong artistic independence and confidence within myself. “Whilst the group critiques and tutorials could be tough and offered a sort of deadline or structure to the year, you were given your studio space and you just had to get on with it. I enjoyed this freedom of making the work according to my own schedule and the studios were always busy with exciting paintings and new ideas so I wanted to be there.